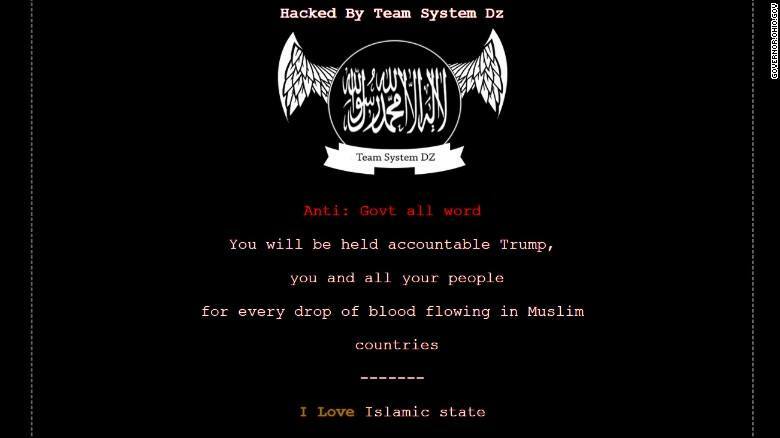 Hackers infiltrated seven government websites on Sunday, posting a pro-ISIS message under the name Team System DZ. governor.ohio.govA screenshot of the official website of Ohio Governor John Kasich after it was hacked. Normally when you visit governor.ohio.gov, you’ll be met with photos of Ohio Governor John Kasich smiling at crowds, meeting with police officers, and posing with a Muslim couple. On Sunday, visitors to the site saw pro-ISIS propaganda. “You will be held accountable Trump, you and all your people, for every drop of blood flowing in Muslim countries,” the message proclaimed. Kasich, a Republican candidate for president in 2016, was not the only public figure to be targeted. 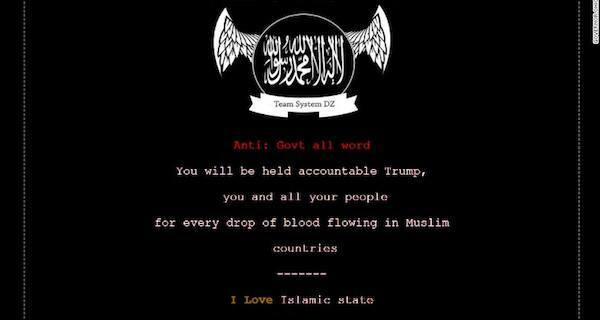 The Islamic State-supporting hackers — a group going by the name Team System DZ — also gained access to the websites of Kasich’s wife’s; the Ohio Department of Rehabilitation and Corrections; the Ohio Office of Workforce Transformation; the Ohio Casino Control Commission; the Howard County, Maryland site; and the official website for the town of Brookhaven, New York. The messages were accompanied by an unspecified Arabic symbol and audio of an Islamic call to prayer, which automatically played when the pages were opened. Government officials quickly took the sites offline and began working with investigators to understand what had happened. It is unclear as of yet what Team System DZ is or whether or not they are directly affiliated with ISIS. The FBI declined to say if they were familiar with the group. The Ohio State Treasurer Josh Mandel reacted to the hacking on Facebook. Though the breaches are being taken seriously by investigators and officials, some are hesitant to decry the posts as legitimate terrorist threats. “I would tell you it seemed like a prank,” Ed Romaine, the town supervisor for Brookhaven, told The Wall Street Journal. Next, learn why ISIS nicknamed Trump’s travel ban “The Blessed Ban.” Then, read about the wild boars who killed ISIS militants before they could ambush resistance fighters.